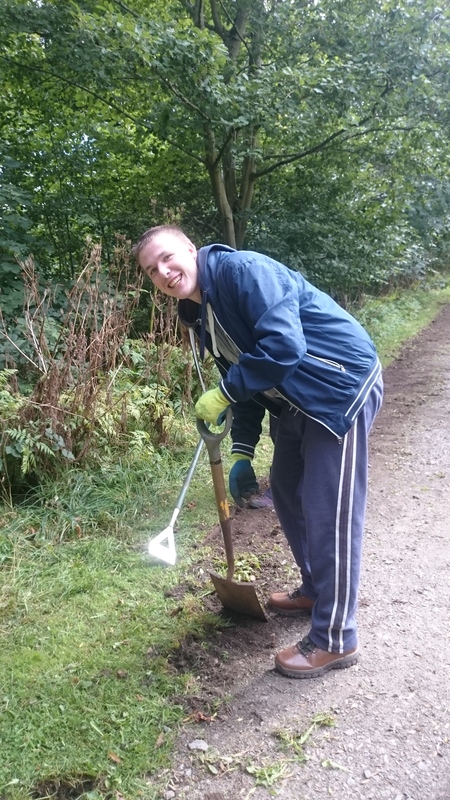 I wanted to share some photographs of our wonderful volunteers in MacRosty Park who braved the torrential rain on Thursday 19th May to help Community Greenspace and the Friends of MacRosty Park gap-up the roadside beds and the Tea Garden. The words of poet John Keats were on message for this Wednesday, 28th, as four volunteers helped out (despite the mist and gentle rain) on Kinnoull Hill. 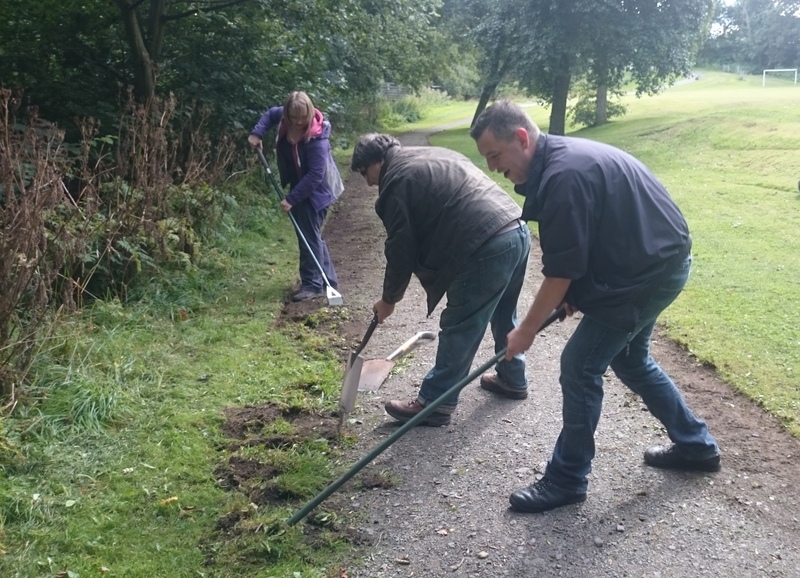 One volunteer was a PKCV regular, the other three were council staff who were able to take part because of the PKC’s corporate volunteering policy, leaving the comfort and warmth of their offices to guddle in undergrowth in the gentle rain. They had been encouraged by the promotion of the task by Patrick, in honour of Make a Difference Month. It was rather beautiful among the autumn colours and everyone enjoyed themselves and we all had a good laugh. 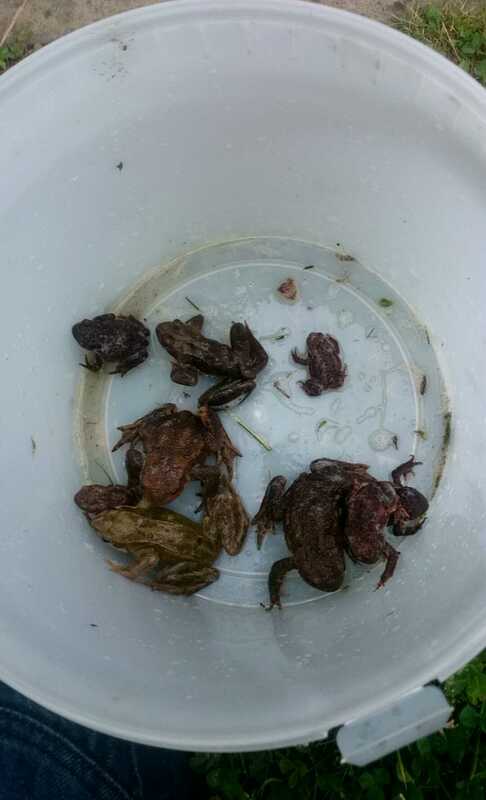 The Greenspace Rangers support a range of volunteer groups including TayARG (Tayside Amphibian & Reptile Group). We recently ran a poetry competition and have already published the winning poem. Here is the runner up – Paparazzi Puddock – written by Will Kettles in Glasgow. Thanks, Will! MacRosty Bark 2015 – A Howling Success! MacRosty Bark was a great success this year (second time lucky – after heavy rain postponed the event in July). 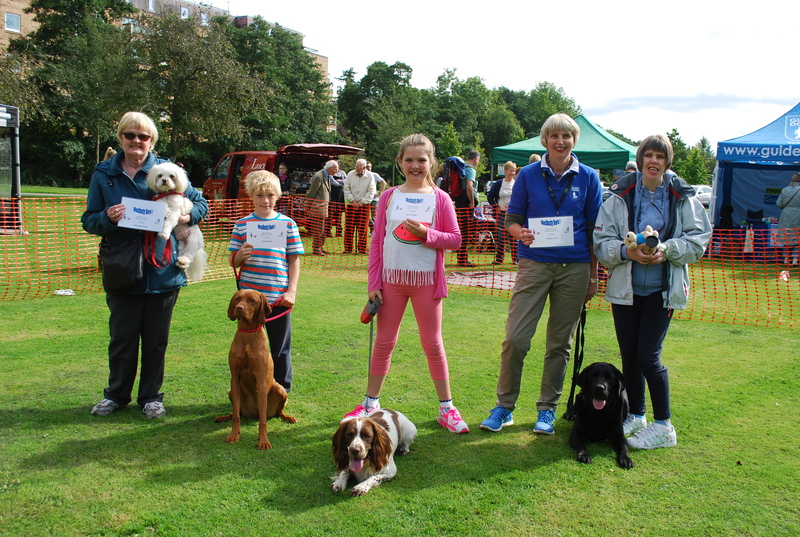 46 dogs took part in the different novelty classes on offer. The sun was shining and everyone who came along had a great time. We would like to thank everyone who came along for supporting the event and a special thank you to Alan’s Pet Shop (Crieff) for providing all the prizes and the SSPCA and Guide Dogs for the Blind for bringing their stalls. 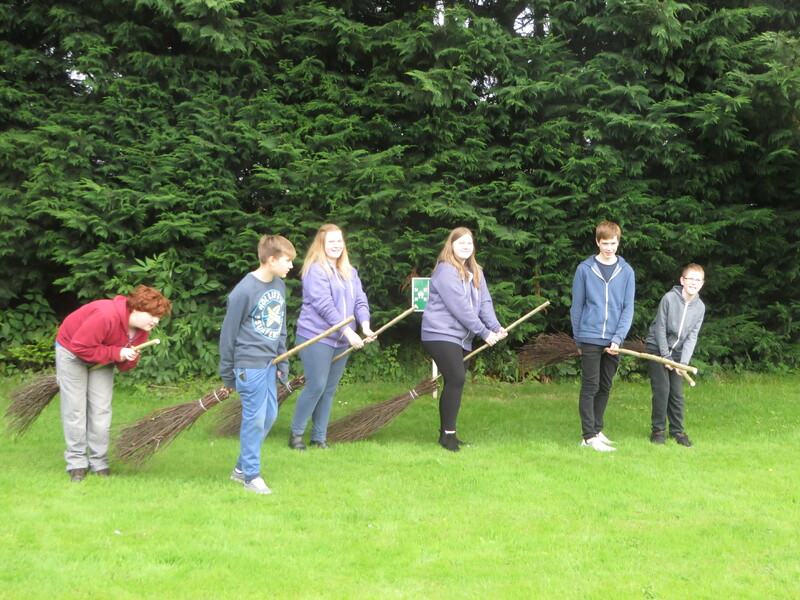 Crieff Community Trust paths group recently received funding through Community Environment Challenge Fund and have purchased strimmers and relevant health and safety equipment. The group have also received training from Perth and Kinross Council to use the equipment. The machines will be used by the group to help prevent some local paths becoming overgrown and unpleasant to use. This will hopefully contribute to local people and visitors to Crieff getting out and enjoying the surroundings. 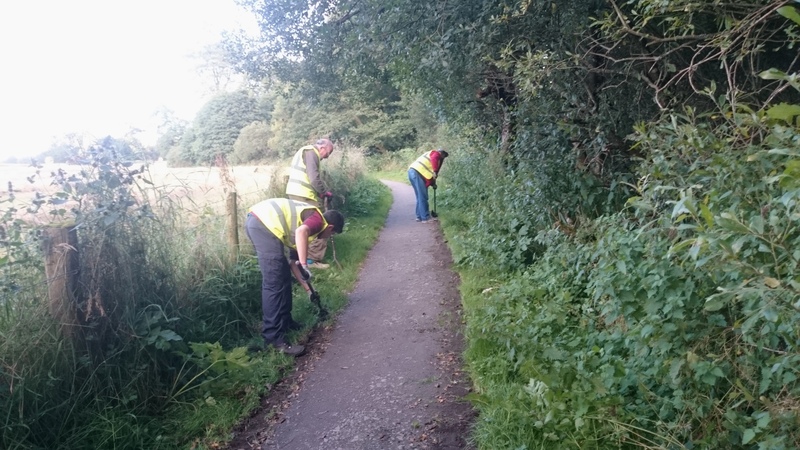 These pictures were taken during the strimmers first outing at Bennybeg, some of the group opted for a more peaceful task of widening the path ensuring it remains suitable for use by mobility scooters and prams / pushchairs. In the past woodlands were seen as a valuable resource, able to provide people with materials to help them in their everyday life. Examples include timber for building or fuel, bracken used as bedding for livestock or hazel branches for constructing fencing. 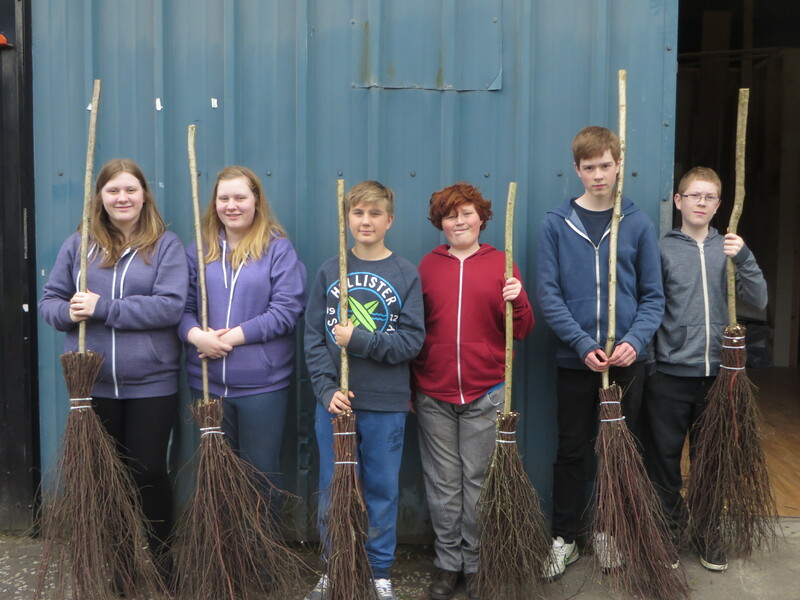 Community Greenspace recently ran a workshop in Crieff with Remake Scotland to build besom brooms. We reused woodland materials from woodland management tasks in Crieff. The birch twigs came from tree thinning works on the Knock and the hazel came from coppicing work that was carried out at Lady Marys Walk. Brilliant work. Well done to all who got involved.